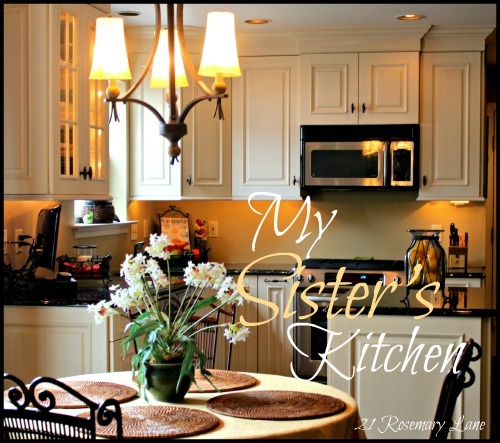 Coming in first is 21 Rosemary Lane, who shared her sister's wonderful kitchen. This had a whopping 675 views. 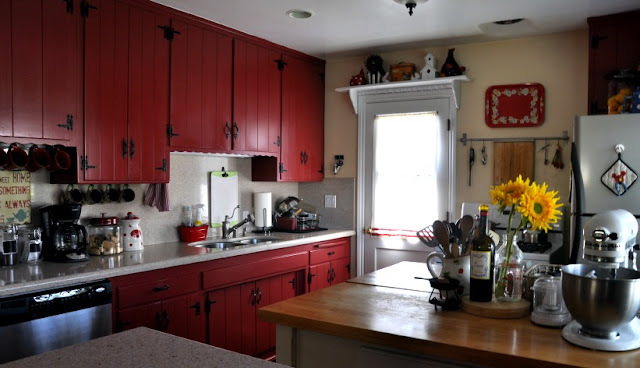 This fun and colorful farmhouse style kitchen by Lemon Lane Cottage was the second most viewed with 416 views. 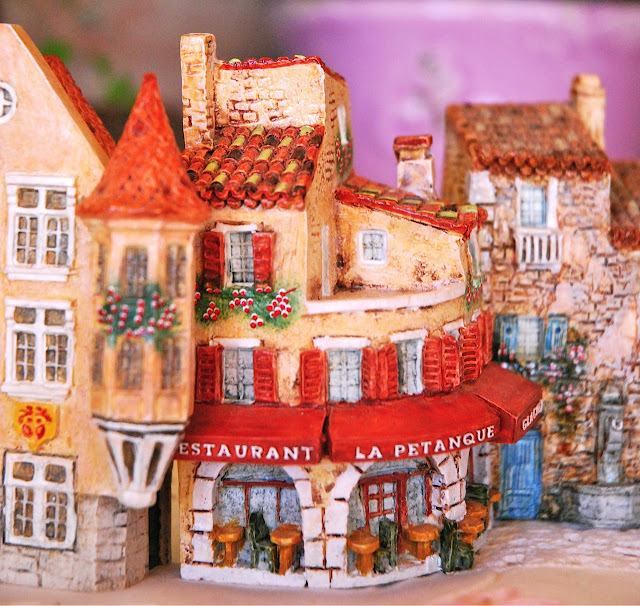 The French Hutch shared these wonderful miniatures and was viewed 334 times. Ladies if you want you can grab a "featured" button from my sidebar. Thanks everyone for joining and I will see you tonight for the party and more features. I am saving the white kitchen, in hopes something like this can be arranged for our next home. wow- is right- missed it but catching up now! I like them all - such good selections! OMGosh Kim my sister (Kim) is going to be so surprised as well as thrilled!! Thank you for hosting and looking forward to linking up to your party tonight!!! Fabulous features Kim! See ya tonight! Beautiful ... no wonder they were the top three!! Such a fun post. Thanks for sharing. I saw two of these posts but will go look at the one I missed. Congrats ladies! I can see why they were the most viewed! They are fabulous! Lovely kitchens all! How could anyone choose! I think I will go back and take another look! Thank yo for sharing them! Wow, thanks Kim for the feature. Made my day! Some great features here Kim! Thanks for hosting! Thank you for having a link party! Your blog is so lovely! Hi Kim!! So thrilled that you stopped by my site. I have added your party to my list and can't wait to party with you every week now! Wonderful features today! Thanks so much for hosting!